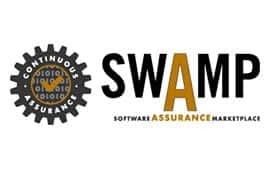 In the drive to reduce software security flaws, the Software Assurance Marketplace (SWAMP) at the Morgridge Institute for Research has enhanced its portable platform that brings a comprehensive suite of software assurance tools to the programmer’s desktop. Using multiple tools to regularly scan software is the cornerstone of continuous assurance – the practice of integrating software assurance into the continuous cycle of modern software development. As a continuous assurance platform, SiB facilitates software assessment with multiple assurance tools. The new “Bring Your Own License” model allows organizations to integrate already-purchased commercial tools into their locally deployed SWAMP-in-a-Box instance. 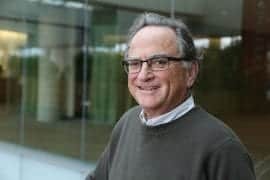 The Software Assurance Marketplace is a joint effort of four research institutions – The Morgridge Institute for Research, Indiana University, the University of Illinois at Urbana-Champaign, and the University of Wisconsin-Madison – to advance the capabilities and to increase the adoption of software assurance technologies through open continuous assurance capabilities and a shared facility. The SWAMP project is funded by the Department of Homeland Security Science & Technology Directorate. Services include access to high throughput computing capacity, over 30 software assurance tools, and a library of more than 280 open-source code samples with known vulnerabilities to help developers improve the quality of their static and dynamic testing tools. Vendors interested in partnering with the SWAMP project may contact Project Manager Irene Landrum.